For seven week his last single THE GREAT ESCAPE was on the Swiss single charts (peak 25). This is just one of many chart successes of the musician and producer from Switzerland, who has already been crowned with gold and platinum. For his latest single he has teamed up with the Lucerne X-Stylez & Two-M, which are best known from their single “STAY” (over 1 million Spotify plays, Disco:way, Sony Music Germany, etc.). 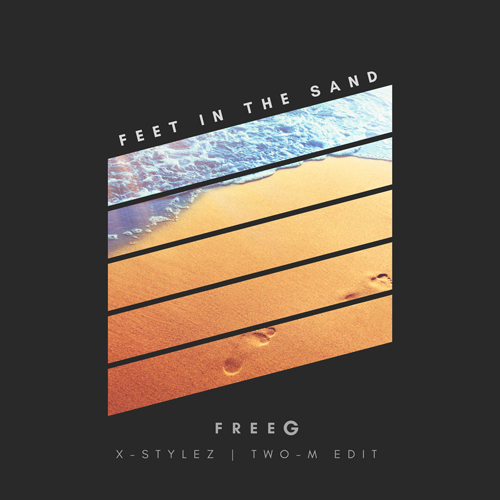 “Feet in the Sand” in the Edit by X-Stylez & Two-M has become a beautiful song that puts people in a holiday mood both on the radio and in the club. Some people have already gotten such burning feet from dancing as if they were walking on hot sand. Truly a song that is a great experience from head to toe. Sieben Wochen war seine letzte Single THE GREAT ESCAPE in den Schweizer Single Charts (Peak 25). Dies ist nur einer von vielen Chartserfolgen, des bereits mit Gold und Platin gekrönten Musikers und Produzenten aus Bern.